Exxon Mobil earnings rose in 2012, but fell just short of record corporate profit. 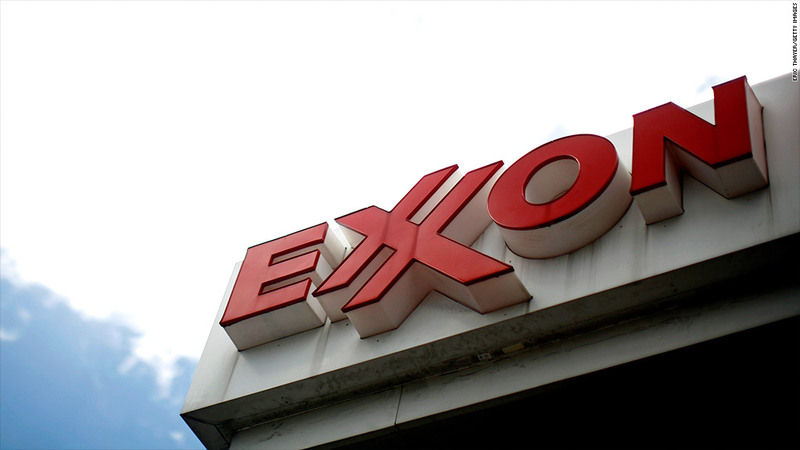 Exxon Mobil just missed setting a company -- and world -- record for annual profit in 2012. The No. 1 U.S. oil company posted full-year earnings of $44.9 billion. While that was up 9% from 2011, it was about $300 million below the all-time annual earnings record for any company, the $45.2 billion Exxon Mobil earned in 2008. Exxon Mobil earned nearly $10 billion in the last three months of the year, up 6% from a year earlier. Gas prices rose throughout 2012, reaching a record annual average of $3.60 a gallon for regular gas, according to AAA -- although the peak fell short of the one-day record of $4.114 a gallon set in July 2008. Exxon Mobil (XOM) outpaced earnings at the second-most profitable U.S. company, Apple (AAPL), which earned $41.7 billion in the latest fiscal year that ended in September. But Apple's earnings rose much faster than Exxon Mobil, climbing 61% from the previous fiscal year. In January, Exxon Mobil recaptured the title of the world's most valuable company when its market capitalization topped Apple. Exxon Mobil's annual revenue edged down by $4.1 billion to $482.3 billion. Shares of Exxon Mobil rose in pre-market trading on the report.